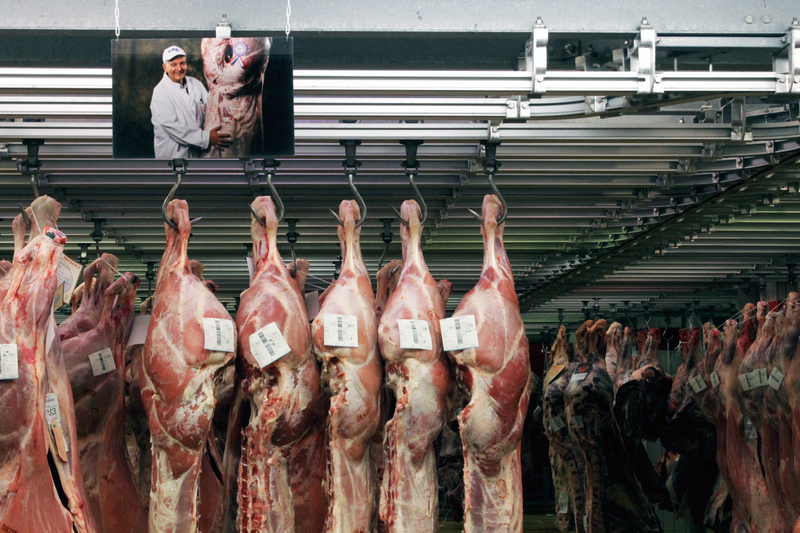 Hanging meat racks in Rungis. 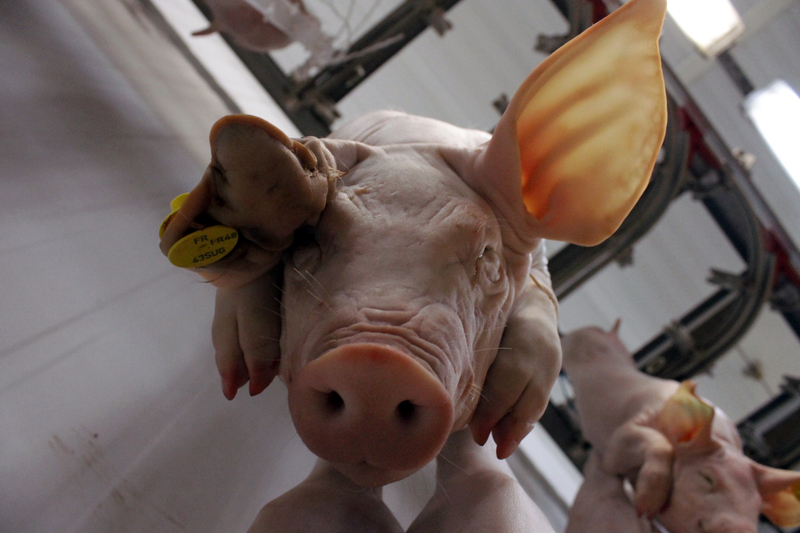 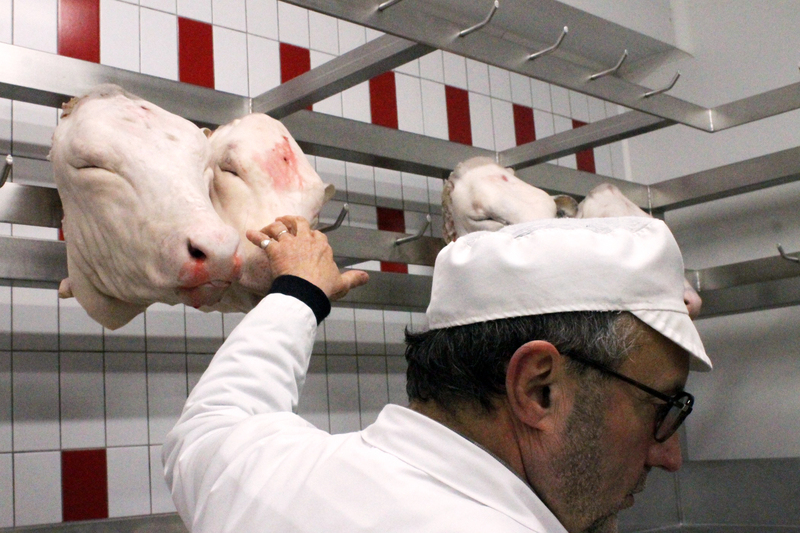 A hanging pig in Rungis. 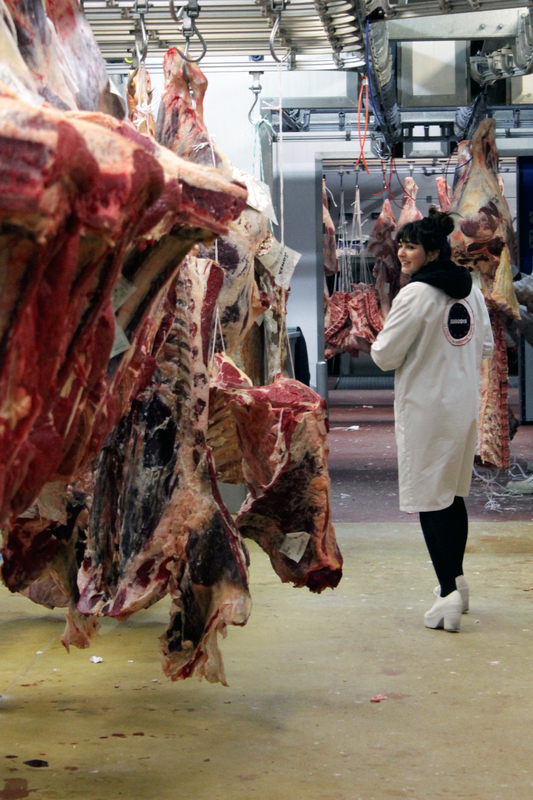 The daughter of the head of the meat market. 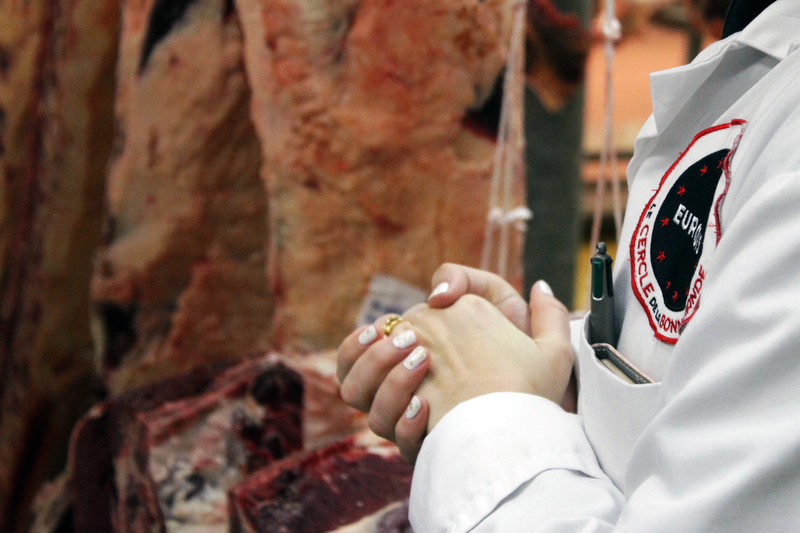 The head of the meat market talking to Princeton University student journalists. 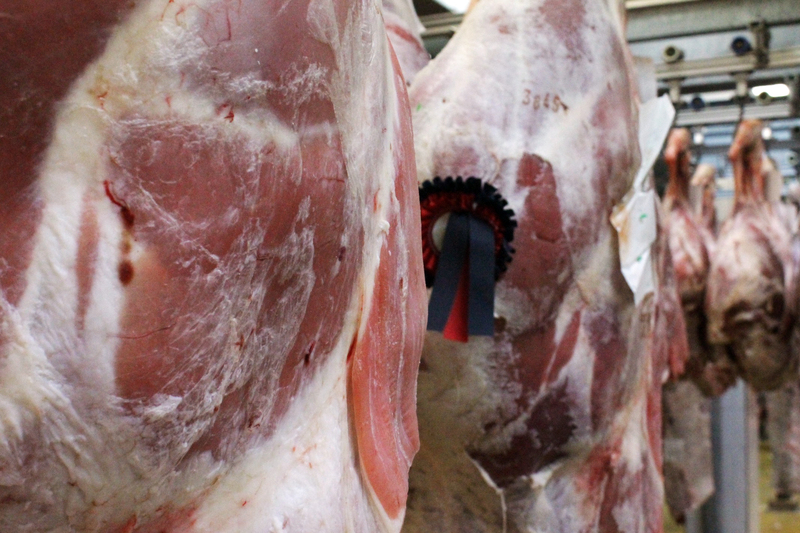 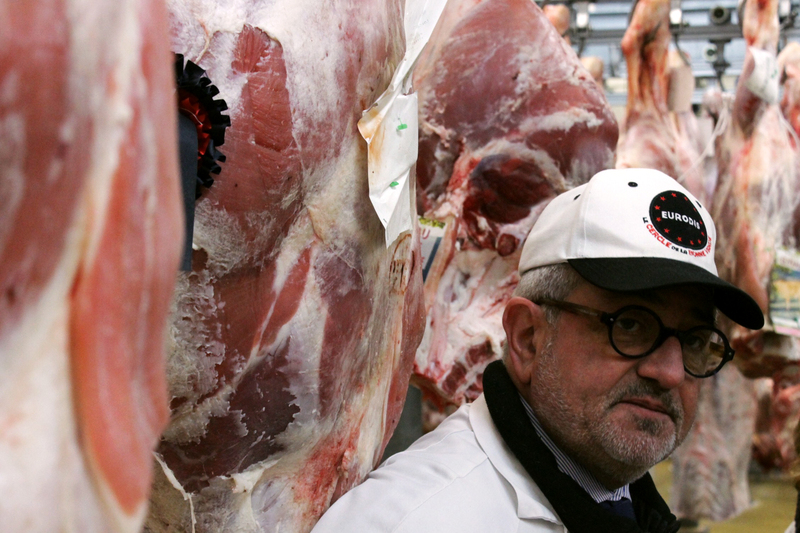 Hanging meat racks in Rungis, with a ribbon to mark an exceptional piece of meat. 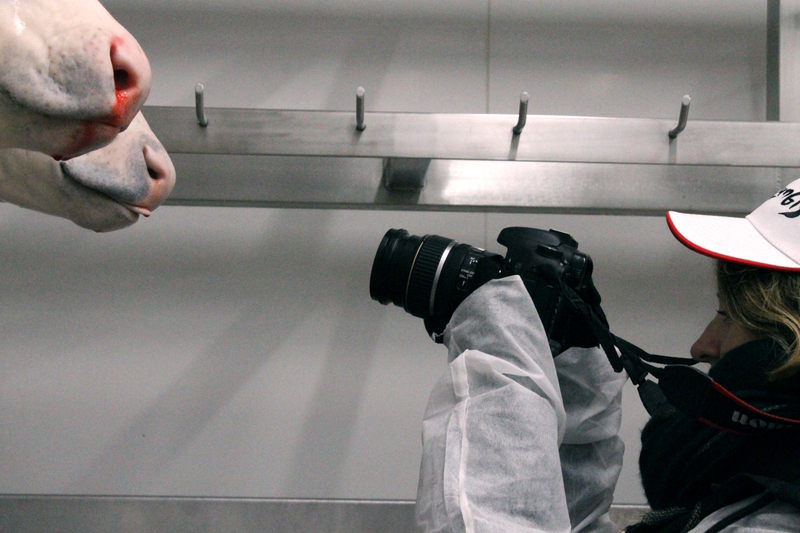 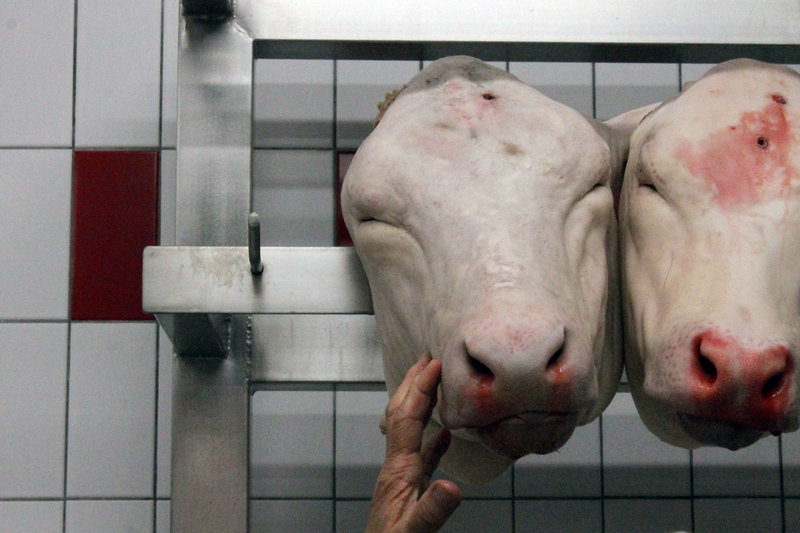 Professor Elaine Sciolino’s research assistance Joanna Beaufoy snaps a picture of cattle heads. 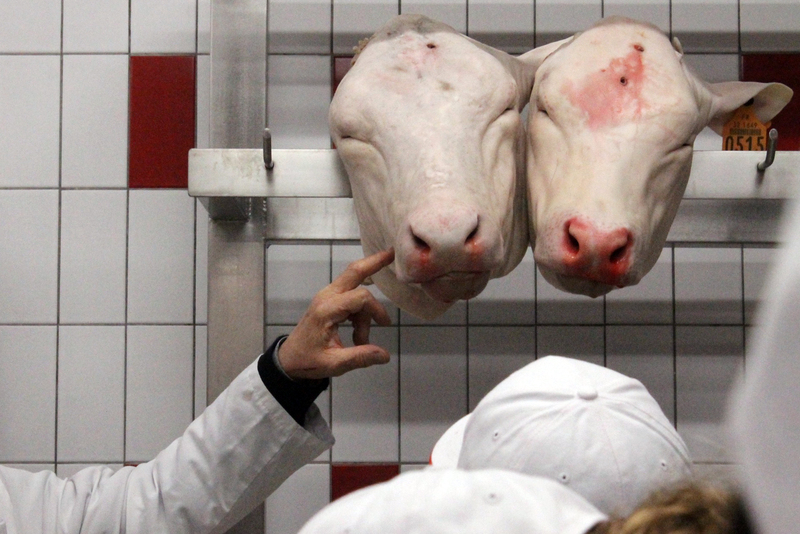 The head of the meat market shows students cattle heads in Rungis.